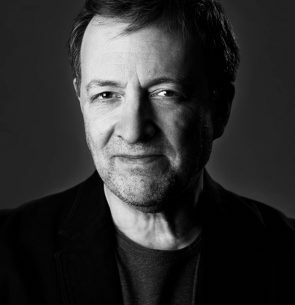 Misha Glenny is the author of The Rebirth of History, The Rise and Fall of Yugoslavia, A History of the Balkans, McMafia and DarkMarket, among other titles. An acclaimed journalist and historian specialising in southeastern Europe, global organised crime and cybersecurity, he contributes regularly to the Guardian, Observer, The New York Times and New York Review of Books as well as specialist journals and books dealing with south-eastern Europe. A regular broadcaster on radio and television, Glenny has most recently advised several southern European countries on policy-making and legislation and is informally consulted on a regular basis by the British Foreign Office, the US State Department and the British Army, as well as by US, European and south European think-tanks. While at the BBC, Glenny won 1993’s Sony Gold Award for his ‘outstanding contribution to broadcasting’. He is also a regular keynote speaker at conferences on organized crime, globalization, south-eastern Europe and US–Europe relations. His most recent book Nemesis was published by The Bodley Head in the UK and by Knopf in the US, and McMafia was recently made into an 8-part television series for BBC1 starring James Norton and an international cast. The series has been picked up by AMC for the American market and will be broadcast in over 200 territories. The UK Parliament recently passed into law the “McMafia law”, part of the Criminal Finances Act 2017, which protects British property from being used for money laundering.